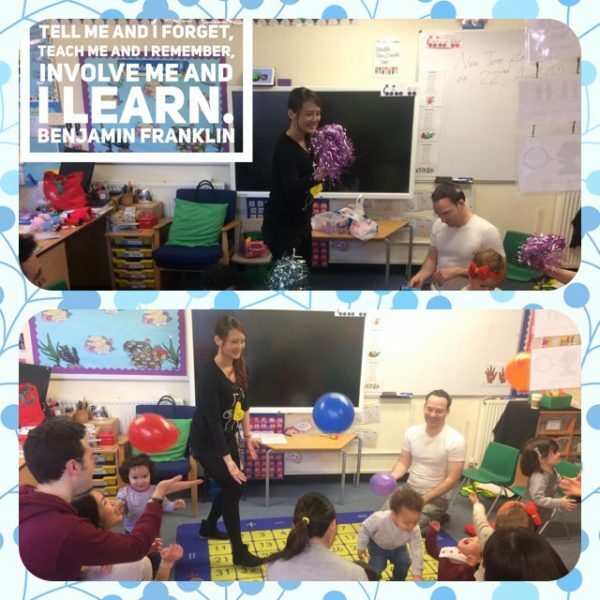 What we do in the class: based on a termly theme, we do interactive songs, rhymes, actions, games, activities, plus amazing crafts related to the topic. Parents participate in the class and learn together. My son loves practicing his Chinese characters and sentences throughout the week; Liu Laoshi encourages and motivates him to learn more. I am impressed by his progress over the past two years.